Opening hours: Daily 12pm – 9pm. Decorated by The Turning Point with Fiona Ophelia Tang. ... my StreetPiano - April 2016 .. 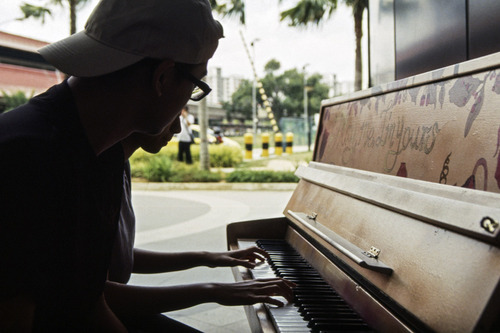 I was surprised to see a piano that you could play in public. So I thought, hey, why not play a Chopin piece and see how the shoppers would react to the performance? Would they appreciate listening to it? Watch the video and see for yourself. This lady said she hasn't played the piano for a long time, but she played really well! 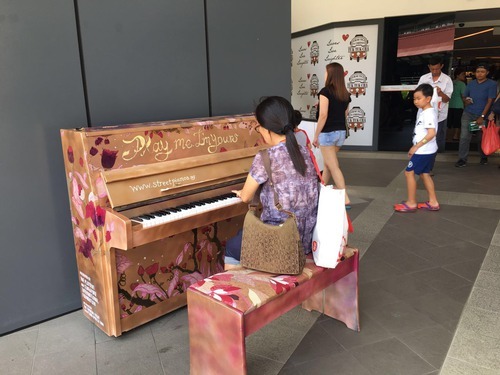 Great new street piano - here for you to play. 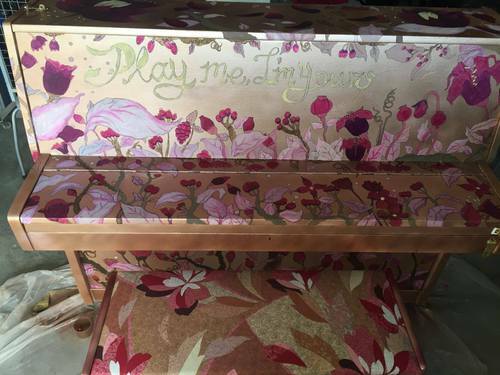 We are so excited and it will be a sight to see all 25 decorated pianos together! 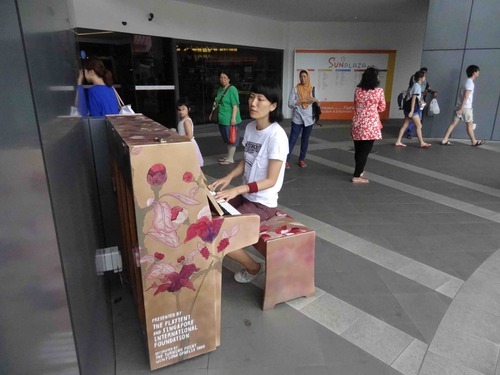 Here is The Turning Point's piano painted by their ladies together with Fiona Ophelia Tang (Aiigo). So gorgeous!